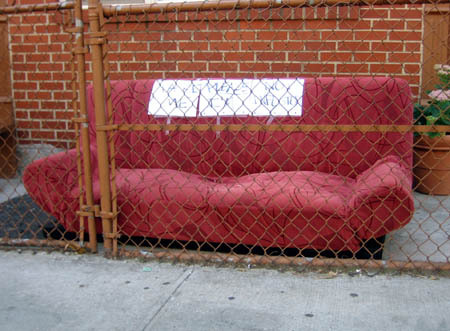 Anyone want a vermin-free couch? If so, head over to Greenpoint Avenue (between Manhattan Avenue and McGuinness Boulevard) and pick it up. On top of being 100% free (no cash money required), it also purports to be bereft of bedbugs. WHAT A DEAL! 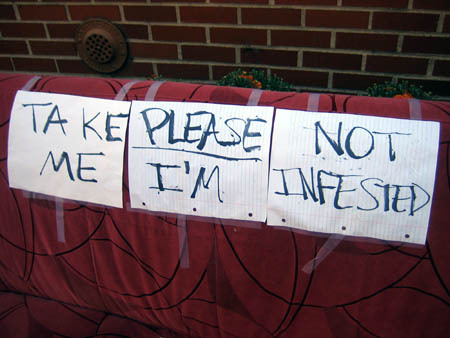 5 Comments on Anyone want a vermin-free couch? that couch looks like lips to me..
Do not worry, I am no longer infected.